Unlike with past consoles, now Xbox One users Everything You Need to Know About Xbox One External Hard Drives Everything You Need to Know About Xbox One External Hard Drives Adding an external hard drive to your Xbox One brings many benefits. Here's why you should consider buying one, and what to look for in an external HDD. Read More can remap the buttons on their controller, allowing them to create the gaming experience that works for them. However, changing the buttons on the controller isn’t as easy as going to the Settings app. Nope, Microsoft decided to make things a little more difficult. Don’t worry, though, because the process isn’t too painful. First, you’ll need to download an app called Xbox Accessories. The easiest way to do it is to just search for “Xbox Accessories” using the console’s built-in search function. You can also browse the apps on the Store and get it that way. Once you have the app installed, you may need to connect your controller to the console using a micro-USB cable to update it before you can make any changes. From there, you can click Configure, and then make all kinds of changes. For example, you can swap triggers 10 Great Gifts for Gamers You Can Give This Year 10 Great Gifts for Gamers You Can Give This Year Here are some of the best gifts for gamers, including PC, PS4, and Xbox One gamers, including new games, mobile players, and more! Read More so the left trigger will be on the right and vice versa. You can also invert the sticks, which means that you inverted players won’t need to do it in the settings for every game. Of course, there’s also the option to remap each button. So if you wanted the A button to be Left Bumper, you could do that. This app is not just for the new Elite controller How to Get a Limited Xbox One Elite Controller Right Now How to Get a Limited Xbox One Elite Controller Right Now The Xbox One Elite Controller is so popular that it's out of stock almost everywhere. What can you do if you want to buy one right now? Read More , though there are additional options for it, since it comes with the additional triggers on the back. Regardless of which controller you have, you can tweak it to your needs with the Xbox Accessories app. 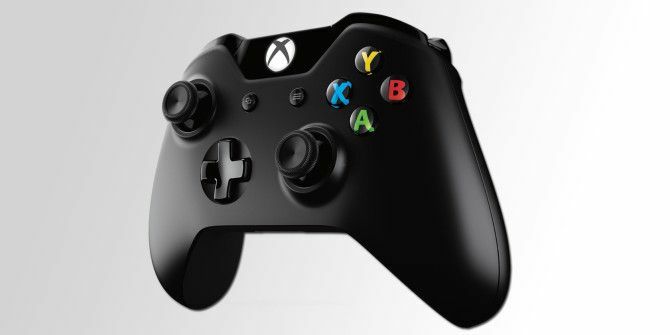 What changes are you going to make to your Xbox One controller, if any? Share your thoughts in the comments! Explore more about: Game Controller, Xbox One.